MERLIN Annual Family Pass Sale Save 20% when you buy online at Legoland. Offer ends 14th June. Price is for family of 5. Its £88 each for family of 3, and £80 each for family of 4. Individual pass is still 150. Buy online and save 20%. With prices from as little as £76.80 per person, you really can afford to make it a fantastic year. Definitely recommend this pass - for a family of 5 we have saved loads, - the best thing knowing you can return again & again, and do the rides etc you missed this time, and not have to battle the long queues to make the most of the day. This price only applies when there are 5 or more of you buying?  OP should probably change the title to family pass -we got ours using tesco vouchers, but you can still save 10% buying online at ]http//ww…om/. We bought 2 of our 3 passes using Tesco points last year. However will just renew them for £225 cash as i believe you cannot use vouchers to renew.Would be happy if people know any better, although dont seem to have that many this year. Have to add that with so many 2 for 1 offers for the parks you do need to work out how much saving can be made. I love the fact that theres no queue to start the day exchanging vouchers. On opening for Saw at Thorpe Park the queue must have been an hour just at the ticket booth. exclusions: No entry during the month of August at London Eye, Madame Tussauds London, London Dungeon and SEA LIFE London Aquarium. No entry during Fright Nights at THORPE PARK (£5 entry fee applies). No entry on 14th February at the London Eye. No entry on 31st October at the London Eye and The London Dungeon. 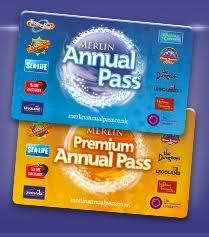 A standard Merlin pass and A Premium Merlin pass which has no restrictions but they have set the price at £200 :whistling: for the premium. Deal posting newbie! This is manateemike first deal post. Help out by leaving a posting tip or just to show your appreciation for their contribution.